I answered the questions and his face brightened. Five minutes later, he looked at me in confusion and asked the same questions again and I answered before he smiled. But five minutes later he asked the same questions once again as if we had never talked. I became terrified at the toll a concussion took on the tender thread separating sentient consciousness from dementia. Concussions were going to be on the docket this week, however there seems to be more urgency since the Chara/Pacioretty incident in Montreal last week. The hit was ruled “part of the game” and as one of our writers, Nick Mercer put it, those hits are exactly the ones causing the concussions across the league. Kelly Whiteside, writing for the USA Today, put together a great article discussing what we believe is the most important aspect of concussion recovery – return to school and academia. Brianna is a typical high school athlete, not a future college star, just a kid whose life revolves around the sport of the season. Her story has become all too familiar. She was medically cleared to return to sports too soon and continued to take a full course load at school. The mental demands of the classroom slowed her recovery as well. Addressing the roomful of her peers on this November evening, Brianna describes what life has been like since suffering her first concussion in February when she took a knee to the head during a basketball game. Good USA Today article about new helmet designs and concussions, written by Howard Fendrich. The truth is, no helmet can provide that sort of absolute protection in the NFL, where there’s an average of 1-2 concussions in each game. 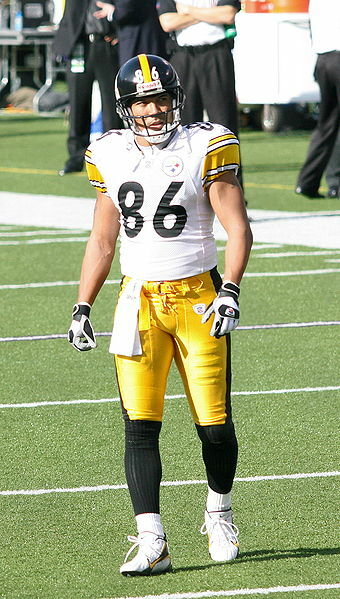 Not sure if this information would have helped Hines Ward’s “neck” injury last night. Military doctors are diagnosing hundreds of concussions among combat troops because of an unprecedented order requiring them to leave the battlefield for 24 hours after being exposed to a blast. From July through September, more than 1,000 soldiers, Marines and other U.S. servicemembers were identified with concussions, more than twice the number diagnosed during the previous four months, Central Command says. This has been a complete turn around from how the military was doing things even in June of this year. The new guideline went into effect July under the direction of the chairman of the Joint Chiefs of Staff, Adm. Michael Mullen. Under the new policy, troops caught within 165 feet of a blast (about half the length of a football field) must be pulled from the battlefield for at least 24 hours and examined for evidence of a concussion. The same goes for troops in a vehicle or building struck by a bomb. And the accompanying piece by Mr. Zoroya, about the recovery from head injury.